Dr. Devgan says, “If you care about your skin, you absolutely must wear something with an SPF of 45 that gives you protection against UVA and UVB radiation." 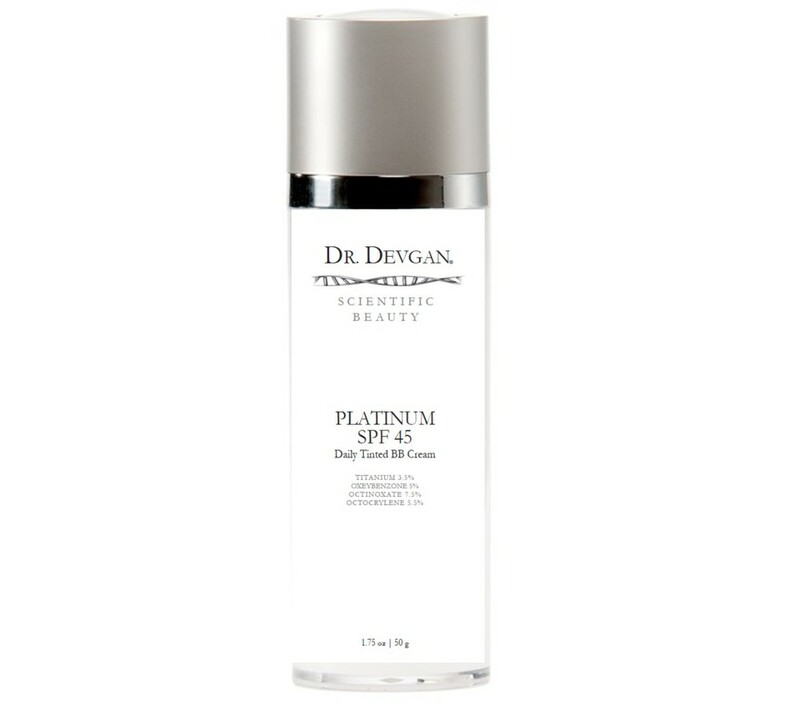 Dr. Devgan’s custom-formulated skincare line, Scientific Beauty, comprises of luxurious products that accommodate to the foundational necessities of exceptional skincare. Scientific Beauty has a Platinum SPF 45 Daily Tinted BB Cream and Its tagline is, the one and only product you need to wear in the morning; it goes by this for good reason. This BB cream protects against UVA and UVB rays and doubles as a broad spectrum sunscreen. It contains Titanium Dioxide, which is scientifically proven to be the most effective ingredient in sunscreen block. This BB Cream protects from the sun’s rays while also giving sheer coverage for an even skin tone and minimizes the appearance of fine lines and wrinkles. This product is an all-in-one for the on-the-go woman. Once you wake up and cleanse or exfoliate, you are set to put this protective BB cream on that doubles as a moisturizer and gives you a flawless, glowing complexion, all while protecting your skin from premature aging. To see more products offered by Scientific Beauty, please click here.